It was raining all day, nevertheless we were able to achieve good performances. 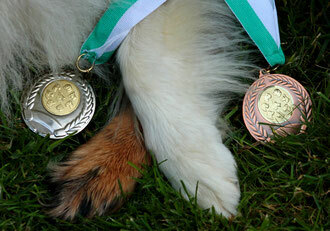 Jack and me reached the second place and Chri with Pearl reached the third place in class 1 medium. Our team, "The Colorful" with Anita and Heiko reached 4th place.